nice. living on mcguinness, i can say that there is pollution enough already poisoning our street. the last thing we need is to be aggressively rude to our neighbours. there has got to be a nicer way of communicating the message pictured above. You seem to have missed the humor in this photo: look in the window of the minivan. 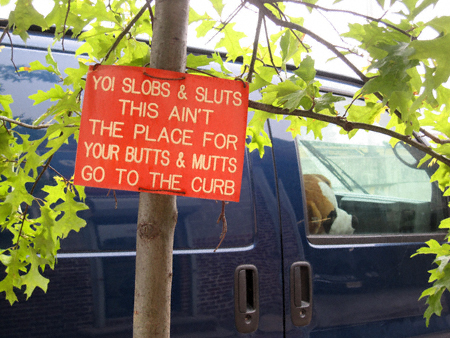 I think the sign is funny and would not consider it “aggressively” rude.